The Red Sea off the coast of Sudan boasts immaculate coral, large pelagics and some of the best wreck diving in the world. 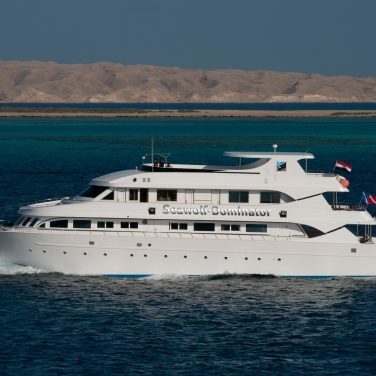 Less crowded than Egyptian waters and offering challenging dive sites, a Sudan liveaboard trip should be on every advanced diver’s bucket list. Sudan’s Red Sea is teeming with marine life. Healthy corals and underwater caves support myriads of schooling fish. At remote sites only accessible by liveaboard, you’ll swim with sharks, moray eels, manta rays, barracudas, sea turtles and the impressively ugly humphead parrot fishes. Incredible wrecks include Jacques Cousteau’s Conshelf 2 and the Italian Umbria warship, sunk in World War 2 with 360 000 undetonated bombs still inside. Many people steer clear of Sudan because of the political situation and as a result, you’ll have the dive sites practically to yourself. 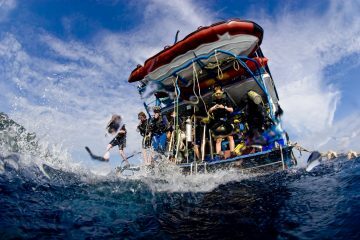 Divers who choose to take the plunge are guaranteed to have a one-of-a-kind experience. 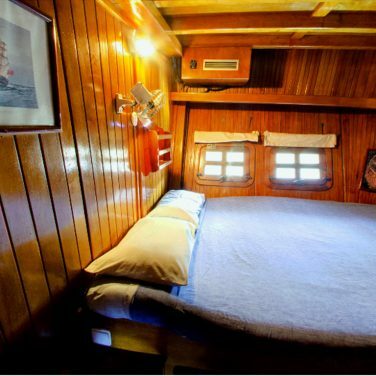 With only 14 guests onboard, this is the region’s smallest liveaboard. And, a top pick for social divers seeking an off the beaten path adventure. 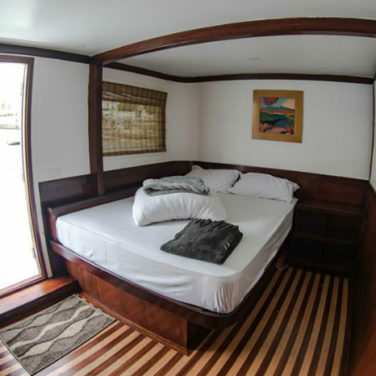 Small dive groups, shared cabins, and family-style meals create a fun and friendly atmosphere; and make this boat a popular choice for backpackers and solo travelers. But, don’t be fooled by the budget price tag. You’ll get just as many tanks at the same great sites in northern and southern Sudan as you would on a luxury boat. And, you won’t have to share them with tons of other divers! 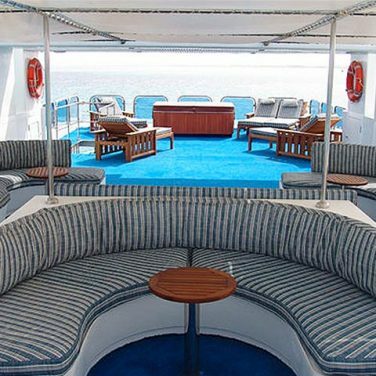 If you’re hoping to capture your liveaboard vacation’s most exciting moments underwater, this boat is your best fit. Photo friendly facilities include a large camera table with blow dryer, individual charging stations, and an indoor photography room. And, cabins are outfitted with extra power points, so you’ll never struggle to keep electronics charged. 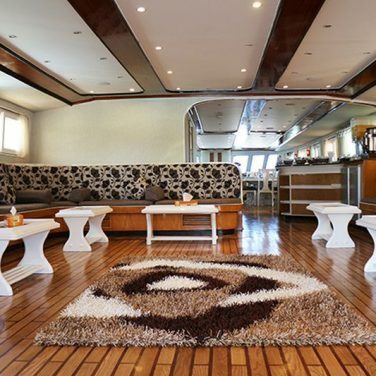 The Royal Evolution also offers a variety of unique itineraries, perfect for photographers. Two week long expeditions visit the region’s best sites for wildlife, and the most picturesque shipwrecks. 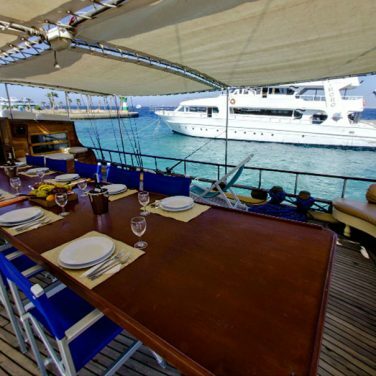 Plus, this is the only boat in the area offering trips that cruise through Egypt and Sudan in one voyage. 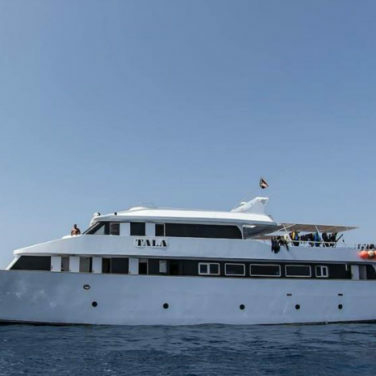 Veteran liveaboard divers and guests who are already familiar with diving in the Red Sea may want to spend more than a week underwater in Sudan. 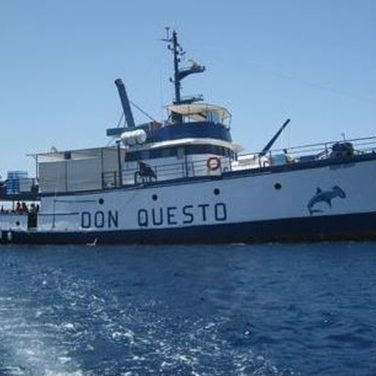 And, unlike other boats in the area, the Don Questo offers a wide variety of extended itineraries. These trips last a whopping 14 days at sea and explore the very best dive sites in the region’s north, south, and deep south. Longer expeditions allow plenty of time for specialty courses and in-depth exploration of the region’s shipwrecks. This vessel is also home to Sudan’s only hyperbaric chamber, a truly unique safety feature. Few boats can compete with the Seawolf Dominator’s overall appeal. 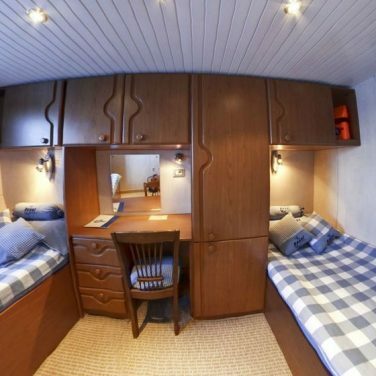 This liveaboard is perfect for all kinds of guests thanks to its spacious layout and various amenities. A massive dive deck, camera facilities, and free Nitrox make it one of the region’s best for serious divers. 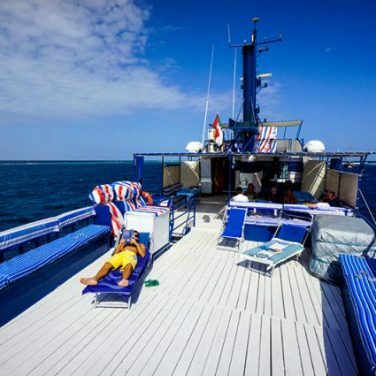 And, little perks like free internet, lush cabins and common areas, and a full bar keep snorkelers and non-divers comfortable for up to 11 days on the water. Best of all, a variety of cabins ranging from basic to luxury let you customize any trip to best fit your budget. Sudan is famous for its deep dives and shipwrecks, but few boats in the region offer support for technical and rebreather divers. If you’re hoping to reach new depths or explore the area’s world-class wrecks, the MV Tala is your best bet. All kinds of extras are available onboard, including Sofnolime, technical gas blends, DPV’s, and more. 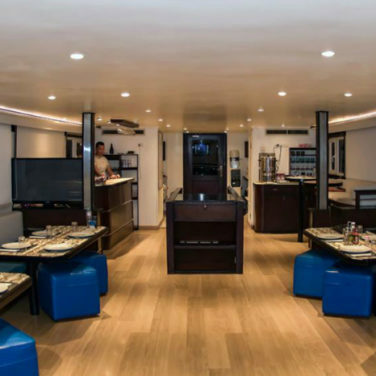 A spacious dive deck, modern camera facilities, individual gear storage, and plenty of charging stations make this boat a perfect pick for guests traveling with sensitive equipment. Spacious cabins, well-appointed common areas, and top-rated cuisine complete the experience. Advanced. Unlike its northern neighbor Egypt, Sudan is not a destination for beginners. Most dive sites are subject to intense and changing currents, and open ocean conditions. Plus, the region’s most exciting attractions are found below 100 feet (30 meters). 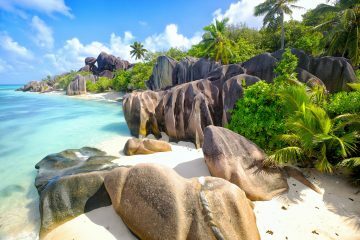 You should have an advanced certification, wreck training, and at least 100 logged dives before joining an itinerary here. 7 to 14 days. It takes some extra effort to travel to Sudan. You’ll most likely have 2 days of air travel each way. And, dive sites here are the Red Sea’s most remote, some requiring an entire day to reach. So, there is no such thing as a quick trip. You’ll need at least 7 days to experience the region’s highlights. But, the more time, the better! You can dive Sudan all year round. And, the best months to visit depend on which wildlife you hope to encounter. You are most likely to see schooling hammerheads from January to April when water temperatures drop. Fall months have the most comfortable diving conditions and offer the best chances to spot manta rays. But, blooming plankton reduces visibility during this season. Sudan’s water is warm year-round, ranging between 78 and 84° F (26 and 29° C) with thermoclines dropping to 75° F (24° C) between December and April. But, these cold waters attract hammerhead sharks, so they’re worth the chill. During the summer, a shorty is plenty of protection. But, a 3 or 5 mm full suit is best for colder months. No matter when you visit, you can expect good visibility in Sudan. Water clarity fluctuates between 65 and 114 feet (20 and 35 meters) on the reef, peaking during the coldest months of the year. Keep in mind that the region’s shipwrecks have silty conditions that may reduce the viz, especially if divers stir up sediment on the bottom. Miles away from the tourist crowds, Sudan offers divers in the Red Sea a chance to experience something different. Whether you’re hoping to explore stunning shipwrecks, take a wild ride in a fast-moving current, or come face to face with sharks schooling by the hundreds, these waters won’t disappoint. And, you’ll spend days on end with no other dive boats in sight. Sudan’s north closely resembles Egypt’s deep south. The wildlife and terrain are similar, and so are the shipwrecks. If you can only manage a 7 day trip, this is the region that you’re most likely to explore. But, don’t worry! Some of the area’s most incredible dive sites are found here, only a few miles from Port Sudan. Schooling hammerheads, shipwrecks, colorful coral reefs, and ripping ocean currents are striking distance from shore. As you head further south, the underwater landscape begins to change. Pinnacles and plateaus become the norm, and currents intensify. During summer months, you’re likely to spot mantas here. And, lucky dive groups might even encounter whale sharks feeding on plankton near the surface. Deep and tech divers can drop below 100 feet (30 meters) to experience the most shark-filled waters in the Red Sea. And, you’ll see even fewer dive groups than in the north. Most 8 to 10 day itineraries explore this region thoroughly, in addition to the north. Sudan’s deep south remains one of the wildest diving destinations on planet earth. And, it’s not for the fainthearted. High-speed drifts, plummeting walls and submerged pillars, and more big fish than anywhere else in this part of the world typify the region. You might go a week without seeing other divers here, and you’ll definitely have sites all to yourself. Keep in mind that there are no shops, medical facilities, or even cell towers in these remote areas. So, be prepared for a bit of self-sufficiency. Photographers should bring plenty of backup batteries and spare parts. 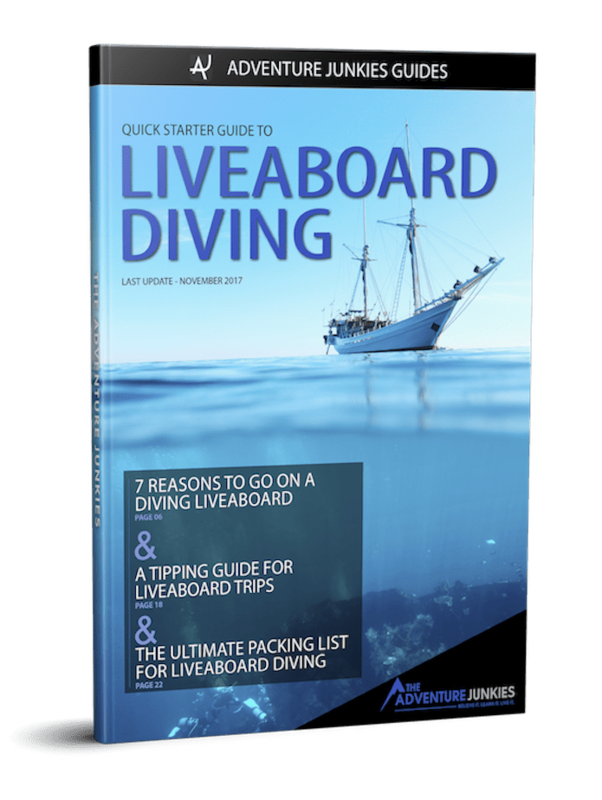 And, most liveaboard operators require trip insurance that covers emergency medical evacuation. Sudan isn’t famous for whale sharks, and sightings are far from guaranteed. But, that doesn’t mean you won’t see one. The further south your liveaboard goes, the better your chances are for an encounter. No matter which part of the region you visit, keep a lookout during surface intervals. The sharks are most often spotted feeding in shallow water. Between August and October, manta rays gather in these waters to feast on blooming plankton. Lucky dive groups can encounter these giant filter feeders throughout the region. But, the south and deep south offer the highest probability. Fast moving currents and massive cleaning stations invite the rays to relax on these reefs, sometimes in groups of 50 or more. Hammerheads are, without a doubt, Sudan’s most famous residents. These graceful predators frequent the region all year round. But, a shallow thermocline between January and April draws them to the surface. During these months, sightings are guaranteed, especially in the south and deep south. Visitors hoping to encounter hammerheads should plan for deep dives, chilly water, and plenty of current. Sudan’s shipwrecks are just as impressive as those found further north in Egypt. But, they only attract a fraction of the visitors. So, you can expect stunning WWII artifacts, plenty of options for wreck and tech divers, and none of the tourist crowds. Besides famous sites like the Umbria and Blue Belt, dozens of smaller vessels have sunk near Port Sudan. For many visitors, the most exciting part of diving in Sudan is the region’s remote nature. There is very little tourist infrastructure on land, and only a handful of dive boats visit each year. Most liveaboard operators visit their own secret and exploratory sites. These unmarked dive spots are perfect for up close and personal encounters with the area’s stunning wildlife. Far fewer boats visit Sudan than Egypt, its popular neighbor in the north. So, you can expect a smaller variety of itineraries to choose from. But, don’t worry. Operators in this region have done their best to diversify. You can choose from voyages lasting anywhere between 7 and 14 days. And, a variety of themed trips focused on wrecks, wildlife, and underwater photography, are available too. Keep in mind that Sudan’s dive sites are quite far apart. So, you won’t get 3 or 4 tanks every day. 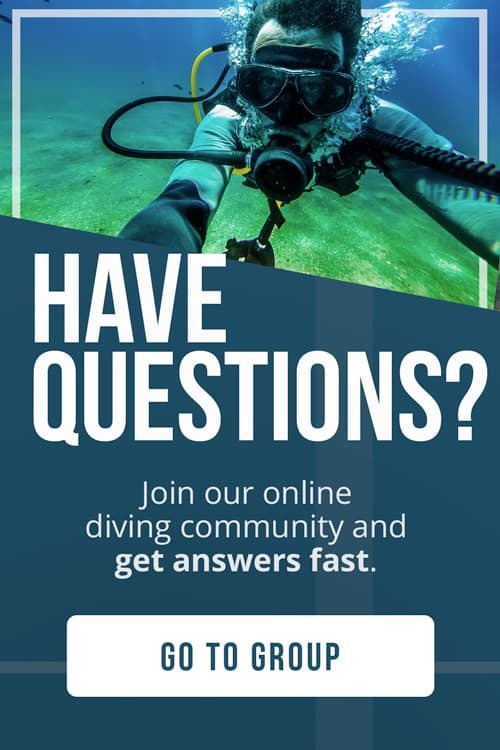 If you’re looking to log as many dives as possible, you’ll want at least 10 days on the water. Classic itineraries in Sudan last 7 to 8 days, and spend most of their time in the north. This style of itinerary will focus on Port Sudan and it’s nearby wrecks and reefs, as well as sites closest to Egypt. Some trips also explore a bit of the south, but long transit times to this area will mean less dives on travel days. This type of trip is best for visitors that are new to the region, or can’t commit to 10 days at sea. After all, there are no quick trips available in Sudan, thanks to the region’s remote nature. So, this is your closest option. If your budget and timeline allow it, the best value overall in Sudan is an extended itinerary. These 12 to 14 day expeditions cruise the entire coastline, hitting all the best dive spots. You’ll get to see the north’s classic wrecks, and the south’s world famous pinnacles and plateaus. Plus, the deep south’s seldom visited frontier diving sites. These lesser known areas are packed with excitement, and perfect for advanced and technical divers. You can expect strong currents, opportunities to go deep at virtually every site, and plenty of big fish action. 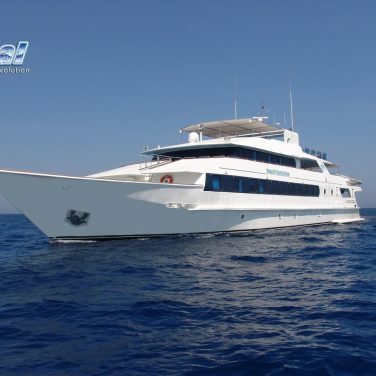 If you are hoping to book a themed wreck or wildlife trip, expect to spend 10 to 11 days on your liveaboard of choice. 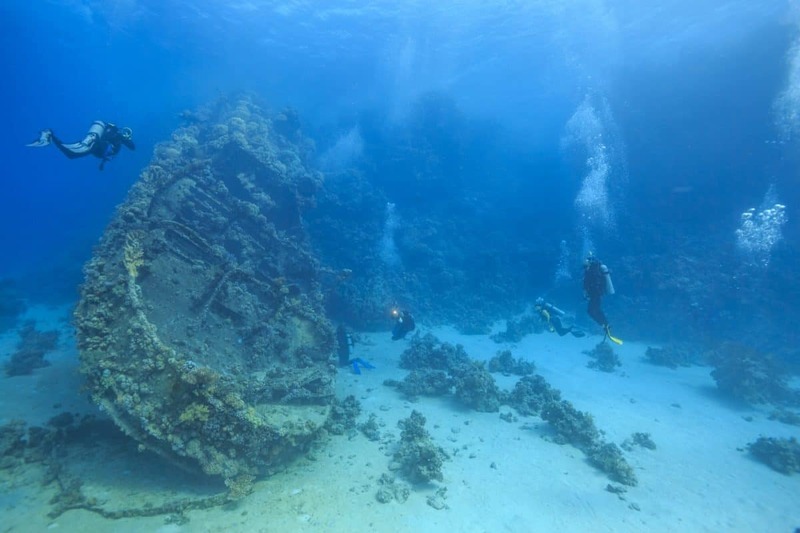 The Umbria is Sudan’s most famous dive site and a highlight for wreck enthusiasts, so most itineraries dedicate at least 2 tanks to exploring her. Often compared to Egypt’s Thistlegorm minus the tourist crowds, this shipwreck has tons to offer divers of every skill level. Because her mast begins at 15 feet (5 meters) external exploration is possible, even for less experienced wreck divers. Penetration routes explore her engine room, onboard bakery, and cargo holds. And, like the Thistlegorm, a collection of antique trucks and undeployed munitions make her a favorite for underwater photographers. Although this is a shallow wreck, tech divers will find plenty of challenging options for in-depth exploration. Sure, Sudan is famous for wrecks and sharks. But, there is plenty of other life in this region, too. Sanganeb is a top pick for naturalists and underwater photographers thanks to its impressive coral growth and thriving populations of reef fish. Out in the blue, large schools of barracuda, jacks, and trevally gather in the current. If you need a break from Sudan’s big fish, take a closer look at this site’s coral gardens. You’ll find plenty of macro life like stonefish, nudibranchs, and a variety of tiny crabs and shrimp. Underwater photographers should plan to shoot in both macro and wide-angle. This shallow dive site is one of Sudan’s strangest. 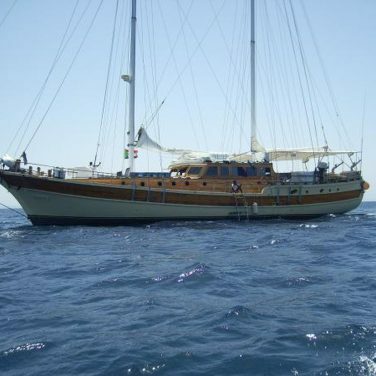 And, every liveaboard in the region visits it. Sha’ab Rumi was once home to Jacques Cousteau’s “underwater living” experiment, the Conshelf II. Today, divers can visit the wreckage of these underwater habitats that resemble a small submerged village on the seafloor. This area is popular for night dives, thanks to its eerie and abandoned feel after dark. But, daytime visits reveal flourishing marine life and plenty of shark action. Grey reef sharks, silkies, and silvertips frequent these waters all year round. Though, your best chances to spot hammerheads are between January and April. This unique shipwreck lies upside down on the ocean floor surrounded by her lost cargo of vintage cars, trucks, tractors, and spare parts. Hence, the nickname, Toyota wreck. Though there is little to see inside, a popular penetration route runs the full length of the ship from stern to bow. But, most divers prefer to explore this wrecks exterior and her “junkyard” surroundings. This dive site is prone to silty conditions, so excellent buoyancy skills are vital for maintaining visibility. And, photographers should plan to use video lights instead of strobes to cut down on backscatter. This open ocean site is the perfect place to encounter big fish. The pinnacle is a massive cone-shaped rock rising from the ocean floor, well beyond the recreational diving limit. Most dive groups circle the entire site, beginning at depth and gradually shallowing up. If you’re visiting between January and April, hammerhead encounters are almost guaranteed here. But, manta rays, oceanic whitetips, whale sharks, and reef sharks are spotted all year round. The colorful coral gardens at this dive site’s most shallow point are astounding. Though you may encounter some surge, it’s worth it to spend some time in this vibrant aquarium-like environment. These two small reefs are close together and quite similar. So, most boats only dive one or the other. Both have plateaus on their northeastern sides that serve as cleaning stations. And, that’s where you can expect the most shark action. Hammerheads are the stars of the show at Logan and Keary, rising up from the depths to have their skin picked clean of parasites. Sweeping currents might make it hard to stay on the reef’s flat top. But, there is plenty to see along these coral encrusted walls, too. Silkies, oceanic whitetips, and silvertip sharks often patrol the depths here. These two dive sites are typically explored one after the other in the same day. You can expect a dramatic difference in underwater scenery, but both places are all about spotting pelagics. Pender is a small reef, famous for its schooling tuna, and the occasional hammerhead. Protector is a much larger site, forming a barrier with an enclosed lagoon in its center. The landscape here is quite dramatic, with a vast sloping plateau that drops into the abyss. Most of your dive will be spent drifting out in the blue searching for hammerheads, silky sharks, whale sharks, and manta rays. Found at the southern tip of the Suakin Islands, Dahrat Abid is easily recognized by three tiny shipwrecks, visible from the surface. The highlight at this site is a fast-paced drift along the coral encrusted drop-off, allowing you to observe multiple shark species below. Silvertips, oceanic whitetips, hammerheads, and silkies are often spotted all in one dive, schooling in large groups. And this wall’s black coral branches are home to a surprising variety of macro critters, too. This site boasts the region’s best visibility. So, photographers should pack to shoot in macro, wide angle, and video if possible. Dahrat Qab and its surrounding sites are some of the best in Sudan’s deep south. This area features many Habilis or submerged reefs that don’t break the surface. And, some of the Red Sea’s most dramatic coral gardens. Massive sea fans, table corals, and staghorns create the perfect backdrop for underwater photography. But, this reef is famous for its larger than life residents. Whale sharks and mantas frequent these waters, as do schooling silky sharks in the hundreds. Silvertips, grey reef sharks, hammerheads, and even tiger sharks can be observed here too, especially during spring months. Karam Masamirit is one of the most remote areas in Sudan and a hotspot for wildlife. The large current blasted plateau at 70 feet (22 meters) is a good place to hunker down and wait for big fish to pass. But, drifting along the reef’s edge is where you are most likely to encounter sharks, rays, and schooling fish. Masamirit island offers a protected mooring. 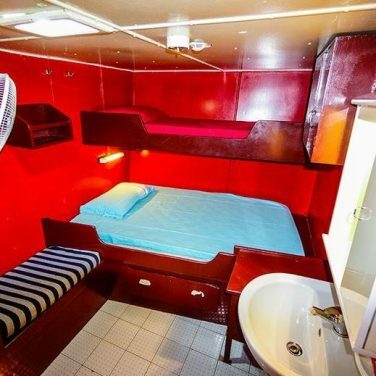 So, liveaboards spend the night here, diving early on the next morning during prime time for sharks. The view above water is incredible here, with hardly another boat in sight.